E-scooter sharing companies Scoot and Skip scooted and skipped their way to the head of the permit approval processing line in San Francisco, but the city flipped the bird at Bird and left Lime feeling sour. 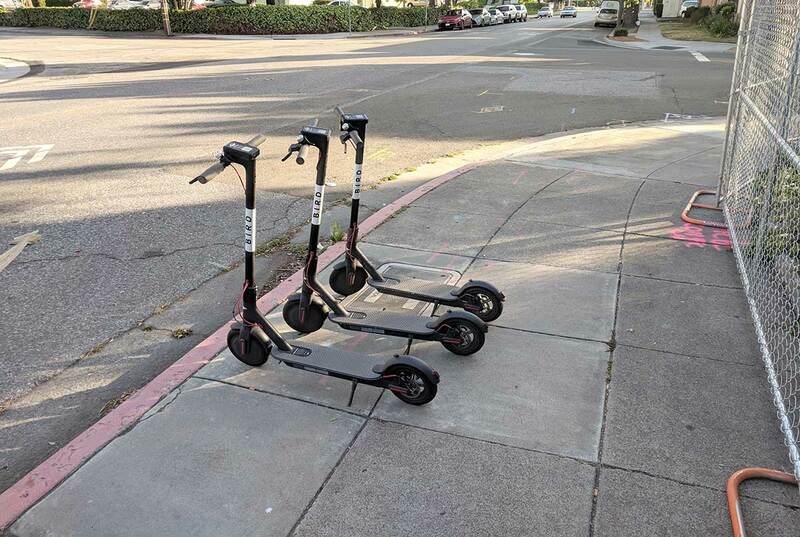 Word on the street is that San Francisco is peeved that Bird and Lime deployed their scooters without securing permits, and retaliated by denying their applications and while accepting Scoot and Skip's, which have headquarters based there. Meanwhile, Santa Monica gave the green light to Bird, Lime, Lyft, and Uber's electric bike pilot programs. Image: Grendelkhan/Wikimedia.This file is licensed under the Creative Commons Attribution-Share Alike 4.0 International license. And they said the Segway would change the way we moved through cities! Video of pallet skating in Bratislava, Slovakia by Tomáš Moravec. Harvard’s School of Engineering and Applied Sciences released an interesting demo of blending rigid and soft materials during 3D printing to create hybrid robots with enhanced performance for tasks like jumping and landing. The fields of bioinspiration and biomimetics look at animal evolution to improve machine function. Chen Li at UC Berkeley’s Poly-PEDAL Lab found that an oval cockroach shell atop a small robot helps it squeeze through tight spaces more easily.